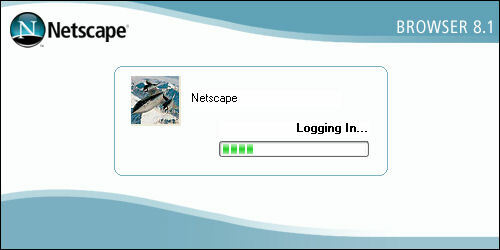 Logging in? I just started the freaking browser. Is this browser communicating with its mother ship every time I open it? The better to serve me, no doubt. Honey, I can’t wait until you give birth to our child, because it will be your turn to clean the cat litter for nine months. That’s right, it has a hanging independent clause. Unlike a hanging participle, which merits no sanction other than mockery and perhaps correction, the hanging independent clause is a complete sentence appended to another with a conjunction and that is sometimes punishable by hanging. Honey, I can’t wait until you give birth to our child. See how that simple truncation turns you from grammar goofball to grammar, and sometimes familial, hero. I cannot even remember where I got this book. Was it part of one of my brother’s document dumps, wherein I got large quantities of comic books and fantasy paperbacks so he wouldn’t have to schlep them across the Pacific whenever he was reassigned? Did I buy it inexpensively because I thought I needed more fantasy reading in my diet? Gentle reader, yes, sometimes the origins of my books are lost to the swirling mists that are really dust coming from the to read shelves. I read the first two books of the Icewind Dale trilogy sometime in the 1990s, so perhaps I have the major point of the super bad artifact upon which the book centers. The Crenishibon, the Crystal Shard. Of course, in the intervening years, perhaps the suspension of my disbelief or my tastes have changed; every time the book called the Shard by its formal name, I thought it sounded like some cross between Richard Crenna and Cinnabon. But that’s just me. As I might have mentioned, I didn’t finish the Icewind Dale trilogy. Not because I lost interest, but because I received the first two books as part of a cumulative gift from my brother. He gave me sets of books which comprised individual books from trilogies to two books from trilogies, but never complete trilogies. I’ve not been into the whole trilogy nor series fantasy thing, so the only complete series I’ve read are the Dancing Gods series by Jack Chalker and the Hitchhiker’s Guide to the Galaxy series by Douglas Adams. So I’m not the best target audience for this, which is the second of a trilogy and probably the only I will read in the three. The plot: An assassin working with a renegade band drow (dark elves who normally live underground, don’t you know?) plots to separate the band’s leader and his companion from the sentient and manipulative Crystal Shard. For the most part, that’s it, although the book plays heavily upon the intrigue within the band and within the drow empire. Unfortunately, the book doesn’t exceed the fantasy genre like John D. MacDonald or Ed McBain books surpass the crime fiction genre. Salvatore is a slave to the preceding books of the series in a way that McBain must have struggled with; the characters are points on a decades-long line and within individual books might become mere shorthand. Salvatore also must have struggled against the constraints of his paymasters, Wizards of the Coast; each character is very directly mapped to a class from Dungeons and Dragons. The main character’s a thief/assassin, there are clerics, monks, wizards, and pscionists. When I was the Dungeon Master (or Game Master when I betrayed TSR/Wizards of the Coast/Hasbro and followed E. Gary to Dangerous Journeys), I had the chutzpah to build our campaigns in such a fashion where the story took precedence over the rules. These books, however, always make it easy for the PR (Player Reader) to understand what’s happening mechanically. Personally, I’d say it tears one from the fantasy world of the author and drops one into the Second Edition rules (apostasy!). But then again, I’m an occasional fantasy writer without a publication and a former game master without a group. Despite all this kvetching, I wouldn’t dodge a Salvatore novel thrown my way, nor would I shun another book in the series. Eventually, when I caught onto the action in the book and made do with the combination of exposition from previous books’ adventures and the shorthand for the subgenre, I enjoyed the book well enough. Which is just as well, since I found another Salvatore book from another trilogy on my to-read shelves. And no matter what I say, Salvatore stands head and shoulders above hacks in the former TSR stable (Rose Estes’s Greyhawk Adventures? Yeah, I read four of them). Unfortunately, the constraints of his bread and butter leave him to standing only a halfling’s head and shoulders above the others in the TSR stable. Today, kids don’t have a gossamer-shrouded Age of Innocence; all they have an Age of Being Charged as a Juvenile. Why Do Senators Charles Schumer, Tom Coburn, and Lindsey Graham Hate Poor People? The U.S. Congress is in no mood to put up with further delays by China on relaxing its currency controls, three U.S. senators visiting Beijing said Tuesday. The bipartisan delegation said the Senate is on the cusp of taking up a long-postponed bill that would slap a 27.5 percent tariff on all Chinese products to compensate for China’s pegged exchange rate. Debate could begin as soon as the end of next week. Fortunately for the senators, this tax increase won’t affect the cost of high-priced goods that adorn their homes and offices nor the expensive suits they wear. People who improve their domiciles and wardrobes by buying low-priced import goods? Let them eat cake, provided it was baked stateside. A professor at the University of Washington Medical School who moved to Botswana to help alleviate a shortage of doctors there, was killed when a crocodile dragged him from a dugout canoe, his family and colleagues said. As long as American imperialists continue invading foreign lands to expand the HIV and AIDS free hegemony, brave freedom crocodiles will continue dragging the “private contractors” from their dugout canoes and eating them. We must learn to accept the crocodile’s culture, and leave them to their crocodilicity that celebrates brutality and lowest common denominature. Indeed, the “death roll” can be quite liberating, in an asphyxiation/drowning high sort of way. Construction will begin within 30 days to expand a Wal-Mart store to include full-service grocery shopping, a move opposed by union officials and a group critical of the giant retailer. After the Board of Aldermen approved the project’s site plan Monday night, Phil Fanara, the store’s manager, said work will begin as soon as possible. Mayor Paul Lambi said Wal-Mart’s site plan conforms to the city’s planning and zoning ordinances and that turning it down could have placed the city in legal jeopardy. This doesn’t represent quite the victory for capitalism, growth, private property, or offering consumer/citizens more choices for their retail dollar; no, it’s only a recognition by city officials that if they don’t follow their own laws, they might get in trouble. A sad testament that we must see this as one of the few victories against the expanding powers of the State in all its minor fiefdom incarnations. You know the saying that goes, A smile is just a frown turned upside down? Doesn’t that actually imply that a smile is a defective frown, inadvertantly inverted from mankind’s normal countenance, that of suffering, stuggle, and pain, by a fleeting and illusory displacement of normalcy by the shiny objects of transient pleasure and is subject to correction by the harsh, uncaring reality who prefers all its frowns to display correctly? Mike Herchenbach was sure he would get a fine. He’d pay a couple hundred dollars, like his roommates, and go on with his life, even though he wasn’t at the party that got out of hand at his rental house. After all, his name was on the lease. But what he didn’t expect, and hardly believed, was what Lancaster County Court Judge Gale Pokorny had in mind as his punishment for maintaining a disorderly house last Oct. 2. Herchenbach remembered his attorney from the University of Nebraska-Lincoln reaching for a work-release form, which would get him out of jail so he could work while serving his sentence. He didn’t need it. It’s only a weekend, he remembered saying. But Pokorny didn’t say three days in jail. He said 30. Thirty days in jail for a disorderly house. That’s an interesting application of a law to make an example out of someone for having a wild party. “Reason #1. People can die at these parties,” he wrote. There you go. Herchenbach didn’t mean to kill the victim (that is, he lacks mens rea, the guilty mind or intent to kill), and, come to think of it, no one actually died (no actus reus, guilty act or actual freaking crime). It used to be that laws and the courts required both intent and action to convict; with the advent of strict liability laws, you didn’t even have to intend to break the law to actually go to the slam. Now, thanks to Judge Pokorny, you don’t even have to break the law to be punished for it. No, sir; simply because crimes or tragedies can occur, you can be held accountable. Sleep tight, citizen. In this send-up of “Monopoly,” players don’t pass “Go” and they don’t go directly to jail — they go to Guantanamo Bay. Instead of losing cash for landing on certain squares, they lose civil liberties. And the “Mr. Monopoly” character at the center of the board is replaced by a scowling former Attorney General John Ashcroft. “Patriot Act: The Home Version” pokes fun at “the historic abuse of governmental powers” by the recently renewed anti-terrorism law. You know, I would feign some sort of indignation at this misrepresentation of government power, but honestly, how can a capitalist like me not enjoy seeing even a person with an opposing viewpoint indulging in free market profit making without the fear that either of us will be dragged from our beds tonight and summarily executed? Besides, I still have my deck of the Clinton Impeachment card game. Road signs in Heritage of Hawk Ridge make some drivers in the subdivision do a double take, and that’s just what developers wanted. The posted speed limit in the retirement development is 17 mph. It’s so novel that it warrants a story in the paper even though it’s not a legally-enforceable limit. It’s as much a novelty sign as the Trumpet Parking Only sign my wife hangs in her office–but the Post-Dispatch writes the story anyway, trying to convey that it’s a neat idea and an attention-getter, and the Post-Dispatch has by now gotten the attention of innumerable aldermen, councilmen, and perhaps even a selectman or two. And why the hell not change the speed limits to some fool off-five number to get attention of motorists, most of whom will continue to drive at speeds on the five s because that’s where the line on the speedometer is. Ah, hell, laws and rules of the road are enacted catch as catch can to bolster revenues and to respond to infrequent accidents anyway. I just wish the Post-Dispatch would be more consistent in lauding creativity in law enforcement that accosts and captures actual felons if they’re going to be so happy about things that ensnare normal people. People who pretend to have earned some of the nation’s most prestigious military medals, including the Purple Heart, the Medal of Honor and others, could pay a fine of up to $200 under a bill being considered today by the state Senate. Jumping merry jesophat, I think it’s odious, but criminal? Sure it starts with pretending about having served with distinction in the military, but there’s nothing different, really, about lying about military service, lying about playing sports in high school, or lying about your sexual conquests. “For one in our society to falsely represent themselves as having received that very, very important recognition, I think is a serious offense not only in law but to our morality,” said Rep. Dan Burke, D-Chicago, the bill’s sponsor. I tell you what, Representative, let’s expand that bill a bit more to extend to embellishments or insincere promises made by politicians because I think that’s a series offense not only in law but to our morality. The death of 4-week-old Jersie N. Hayes was reported to authorities on Jan. 21, 2003 by Hayes’ girlfriend, Kristy Toczylowski, who is the mother of four children with Hayes. The child was found in bed at the couple’s home on Treeview Lane, south of Fenton. Prosecutors believe the dangerous chemicals use to make meth contributed to Jersie’s death, even though an autopsy on the child proved inconclusive. Holy crimoly, I hope that the freaking toxicology and pathology classes that they teach in law school to students with political science undergraduate degrees include actual autopsies so that the ADAs can get diggin’ in the morgue to overcome what the actual coroner says. Because I’d hate to think our legal system relies upon creative higher-office seekers and the various incarnations of television’s CSI for this illumination. As Weber and Dolan pointed out today, 450,000 registered voters represents over 80% of Milwaukee’s population. Men, women, and children. I haven’t lived in the city of Milwaukee for 12 years. I didn’t actually ever register to vote in Milwaukee, since I did all my voting absentee in Missouri during my college years. Hopefully, with this diligence on the part of the City of Milwaukee, though, I won’t vote for Chelsea Clinton in 2020. Don’t bother sending me letters encouraging me to send $25 when you pay the basketball coach $1,650,000 a year. Although your fundraising pitches are printed upon recyclable paper, I insist upon shredding anything with my name upon it. Also, the lost printing and postage has probably cost you enough to buy one minute of Tom Crean’s time next year. Wisconsin has passed the legislation to make it illegal to convey an urchin in a car without a booster seat unless the child is 8 years old, or 80 pounds, or 4’9″ tall. I’m subject to plenty of PSAs when I listen to WISN every day, pointing at this government site promoting it. Frankly, I read this Roeper Chicago Sun-Times column defending V for Vendetta and didn’t think it was much of a threat to our way of life and that it was a fair argument a movie. A movie I didn’t want to see because of its subject matter. The column didn’t change my mind in any fashion, but I didn’t care to comment on it.